The summit of Mauna Kea, on the Big Island of Hawaii, is considered one of the best places to do astronomy on the earth. At nearly 14,000 feet, the mountain top sits above much of the earth’s atmosphere; being far from any large towns, the island is isolated from many of the lights that ruin skies elsewhere; and, at a latitude of 20 degrees, Hawaii sits in a special band around the globe where clouds appear infrequently. But maybe not tonight. It’s 11am, and I’m sitting in the control room for the Keck telescope – the largest telescope in the world – getting ready for a two night’s worth of work. I just woke up and had breakfast, sleeping as late as I could in hopes of being able to stay up all night tonight. I used to be better at sleeping late, when I didn’t have a 2 ½ year old waking me up early every morning at home, but, these days, I have a difficult time sleeping past 6am Hawaiian time, as that is already 9am in California and I would normally have been up for hours. Waking at 6am is bad, as that is about the time that I will be going to sleep at the end of the night of work. Luckily I have my grad student Emily Schaller here with me who, being fifteen years younger, is able to stay awake all night much better. On nights where things are going extremely smoothly or extremely poorly I have been known to lie down on the very comfortable couch in the back corner of the control room and, according to Emily, snore loudly. The control room is a ring of computer screens. From where I sit at the observer’s main seat I have about 13 different screens in my immediate vicinity, connected to perhaps 6 different computers, with some of the screens containing virtual connections to even more computers. And, because that number of computers never seems enough, every astronomer always brings his or her own laptop to sit beside them, too. On my laptop I am looking at the first thing I always look at when I arrive in the control room in the morning: the satellite image of the clouds over Hawaii. The sky is moderately clear right now, but a huge thick mass of clouds is moving across the Pacific reaching towards the islands. In the worst case, it looks like we might have only 8 or so hours before the clouds hit. The sun sets in seven hours forty four minutes. Regardless of the weather, there is plenty for Emily and I to do to get ready for the night. We have to go on the assumption that the skies will become magically clear and be prepared, just in case. We need to sit down for about an hour to come up with our final strategy for the evening, with copious contingency plans for whatever the weather can throw at us. 1pm: The planning took a little longer than expected, mainly because we kept on trying to read the satellite image like animal entrails as a clue to the night. In the end, we decided that the images were about as useful at predicting as the entrails themselves, so we had to prepare for everything. Tonight at Keck we are using a cutting-edge technology called Adaptive Optics that allows us to fix the blurring usually caused by the Earth’s atmosphere to get extra crisp images of our objects in the sky. One way to do this is to first shoot a laser beam from the telescope up into the sky to make our own artificial star. We then point the telescope directly at this star. This laser-star is blurring just like a real star, but we know what this laser star should look like, so we adjust the telescope about 500 times a second to keep the laser star nice and sharp. Conveniently, anything close to the laser star is now nice and sharp, so we can then take pictures of whatever we were looking for in the sky. The bad news, though, is that the laser won’t work at all through clouds. But, still, for bright enough stars in the sky, we don’t even need the laser to do the sharpening. If the sky is clear at sundown we will fire the laser, test it out on a bright star, and then swing the telescope to the Kuiper belt object Orcus. Orcus is one of the largest of the objects out past Neptune, weighing in at a little less than half the size of Eris. Orcus has a little satellite (which we haven’t gotten around to giving a name yet) going around it once every 9 days, and our prime goal of tonight is to learn what the satellite is made out of. To do that we will analyze the sunlight reflected off of the surface of the satellite and see what spectral signatures are there. We need the laser sharpening to see the satellite, because the orbit of the satellite never takes out far enough from Orcus itself that we would be able to see it without. In fact, the satellite of Orcus has never even been detected from the earth before; all of our previous studies have been from the Hubble Space Telescope. We are extremely excited with the prospect of opening up this new window! If the sky is not clear at sundown we can’t fire the laser, but we can use the sharpening on something bright. Emily is just finishing her Ph.D. thesis studying meteorological systems on Titan, Saturn’s largest moon. Titan is so bright that we can see it even through moderate clouds, and with the Adaptive Optics Emily will be able to pick out track the cloud systems in the thick atmosphere of the satellite to continue her studies. We’ll be disappointed to lose Orcus, but at least all will not be lost. If the skies are clear near the middle of the night we will swing the laser around to the large Kuiper belt object called 2003 EL61 (which we have gotten around to naming, but the committee that is supposed to approve these things has done nothing in over a year as far as we can tell) which has two satellites around it. While we know the orbit of the outer larger satellite quite well, we have yet to determine the orbit for the inner satellite. We have hopes that just a few more crisp pictures will answer the question for us. If the skies are not clear in the middle of the night we’ll continue Titan until 1am, when it sets, and then evaluate. If there is only moderate cloud cover, we will give up on Adaptive Optics and turn instead to trying to understanding the composition of the Kuiper belt object 2005 FY9 (also no name. Same story.) With the press of a few buttons we will swing a different instrument on to the back of the telescope and begin analyzing the sunlight reflected from this object. Both 2005FY9 and 2003EL61 can be watched until the end of the night, but we have some hopes that if the skies are clear near the end of the night we will turn instead to Pluto. Pluto is (just barely) bright enough that we can do adaptive optics without having to worry about using the laser. Our main target of interest is Pluto’s largest moon Charon, on which, eight years ago, we discovered what we thought was evidence of past icy volcanism. We have an idea on how to really clinch the argument, but it will require some late night experimentation using the instrument in ways that no one has ever done before. That’s when astronomy gets extra fun. 2pm. Lunch time. Emily and I leave the control room and go down the road 5 minutes to Huli Sue’s Hawaiian Barbeque for some brisket. Down the road 5 minutes? I forgot to mention that the control room for the Keck Observatory is not at Keck Observatory. While the telescope sits above the barren moon-like landscape of Mauna Kea, the control room is at the headquarters of the observatory in the sleepy cowboy/astronomy town of Waimea at about 3000 feet above sea level. I love Waimea. Most of the town is surrounded by the vast Parker Ranch, though the interior is growing. When I first started coming to the telescope almost 15 years ago Waimea was a one stoplight town. Now there are two. Sitting at the (new) Starbucks in town recently I watched as a well-dressed tourist with a Maclaren baby stroller held the door for a Paniolo wearing a cowboy hat and spurs while a well known astronomer walked in beside them. It is the place on the planet that I have spent the most place other than my home of Pasadena in the past 15 years. I’ve been here for the Hawaiian Princess Festival march through the center of town, and, best of all, the Christmas Truck Parade, which is a parade of decorate trucks for which the entire town turns out, whether they want to or not, because it goes on the only road through town. How does it work that the control room is 10,000 feet below the telescope, though? When the control room was first moved from the summit a decade ago I, and many other astronomers, were dubious. How can you do astronomy while not being at the telescope? For years I had been trained to stick my head outside of the dome hourly to assess conditions and decide on what to do next. If you stick your head outside in Waimea it is likely to be pouring down rain while the summit it crystal clear. But I came around. A 14,000 foot summit is a hard place to think straight, particularly when sleep deprived. I am a better astronomer at 4,000 ft than 10,000 feet higher. The communications with operators at the summit are by video conferencing that is sufficiently good that you often forget that they are there and you are here. And, since all astronomy these days is done by looking at computer screens rather than at the telescope, if you closed the windows down in Waimea you might forget that your control is not sitting up on Mauna Kea. Except that you could breath. And then you would be happy. An obvious question to ask, though, is this: if we can be 20 miles away from the telescope, why not 2500 miles away? Why am I here instead of at home in a similar looking room with similar computers and screens and video conferencing? Technologically it would work, at least most of the time. Computer links between the summit and Waimea are indeed more reliable than between Hawaii and California, and, on the rare occasion that they fail (one night someone trench over one of the fiber optic bundles, for example), I have been able to quickly drive from Waimea up to the summit and not lose any telescope time. You couldn’t do that if you were in California at the time. But the real reason that I still spend so much time in Waimea is not so much technological as sociological. The people who know everything are here, and knowing them and what they do and when they do it and which computer they sit at when they do it can make the difference between getting good data and great data, or sometimes between getting no data and great data. If problems occur there can be a big difference between being a disembodied voice at the end of a video screen versus a live person who can stand up and walk over to talk to somebody. Though my wife is convinced that it is really for those quick afternoon trips to the beach, I really come to Hawaii for the people. So off to Huli Sue’s Emily and I go. When we come back the support astronomers for the night will be in to be making their final checkouts and give us the word that everything is OK for the night. Except, as we will soon find out, nothing is to be OK with the night. This morning my 2 ½ year old daughter Lilah opened the front door to find the tiniest Easter basket I have ever seen, filled with candy, bubbles, and stickers. My suspicion, as yet unconfirmed, is that Easter baskets everywhere were equally tiny today, and that it is all the fault of the moon. This is the third Easter Diane, Lilah, and I have spent in our house up in the foothills above Pasadena. After last year’s record low rainfall, Easter – and springtime in general – was marked by an intensifying of the brown in the canyon in our backyard. That same brown all over southern California contributed greatly to the intense wildfires that swept the region last fall. The small-scale wildlife that was abundant in our backyard two years ago – rabbits, squirrels, even the occasional bobcat and [once] black bear – generally disappeared. This year the occasional torrential rains typical of southern California winters returned and gave everything a nice soaking. The canyon in our backyard is awash in green and is about to explode into a sea of yellow mustard flowers. Even the great canyon oaks which dominate the canyon and are designed for long term droughts have a fresh sheen from the first set of new leaves in two years. Squirrels have been running around chasing the droppings of the bird food we keep out for the finches and sparrows and blue jays and titmice. Some as-yet-unknown small animal sneaks through the fence around my garden and has been nibbling on the leaves of the artichokes. The first sweet pea pods are forming. Lilah has a small box with caterpillars waiting to change into butterflies and a small bucket with tadpoles waiting to change into frogs. With the equinox passing just two days ago, it certainly feels like spring has come. But the bunnies? Two year ago, our first Easter, the connection between Easter and bunnies was obvious. They were everywhere. You couldn’t open a curtain or door in the morning without stumbling on a new set of bunnies nibbling on the bushes, hopping down the street, playing in the grass. It was easy to explain to Lilah that the Easter bunny was certainly on his way. This year, though, the bunnies are almost unseen. One or two tiny babies have been spotted, but not the abundance of two Easters ago. What is going on? I think the fault is not with the bunnies, but with Easter. Easter is awfully early this year, and it is likely that no one told the bunnies to start earlier. Two years ago Easter was on April 16th, a full three weeks later. The bunnies should, of course, be watching the sun and the moon to know when Easter is. This year, in particular, with Easter so early, the method of choosing the date of Easter has been much in the news. Easter falls on the first Sunday after the first full moon after the Spring Equinox. The Spring Equinox is, of course, the precise midpoint between the long night of the Winter Solstice, back in December, and the eternal twilight of Summer Solstice, in June. On the Equinox, the day and night are of equal duration (the origin of the name) all around the planet. Also, the sun rises and sets directly east and west. Thus, one way to know that the equinox is near is if, like me, you live in a town where most streets are on a north-south-east-west grid, you will start to notice that the sun is always setting (or rising) precisely in your eyes as you head westward to go home at night (or eastward to leave home in the morning). That means the equinox. Even the equinox occurred a little early this year. The precise moment when the sun was precisely over the equator (another way to define the equinox) was 5:48AM GMT on March 20th, which translates to 10:48PM PDT on March 19th here in Pasadena. Last year it was 5:07PM PDT on March 20th. In reality the equinox didn’t change, just our calendar. With leap year this year our calendar is behind by almost a day. It will catch up again over the next 4 years. The full moon, which could come at any time over the next four weeks, happened to follow closely this year, occurring at 10:40am on March 21st. And it was a Friday, so the next Sunday was only 2 days later. Today is March 23rd, and it is Easter. The bunnies could have gotten it right by watching to see when night and day were equal lengths, looking for the next full moon, and watching driveways everywhere for an extra fat morning newspaper to know it was Sunday and thus Easter. Except that this is not really correct. I used to imagine teams of astronomers sitting around with precise measuring tools to declare when the equinox had occurred to set everything in motion. I used to smugly explain all about astronomy’s role in determining the date of Easter to anyone who would listen. I used to wonder if it ever happened that the full moon followed the solstice by minutes and made for instant Easter. But, this year, I finally looked up who really decides. The answer is a bit disappointing, at least to me. For the purposes of Easter-determining, the equinox is on March 21st. No astronomer needs to track the sky; we can all just look at the calendar. The precise moment of the full moon? Not actually important either. Officially, centuries old calculations are used, which differ from the actual date of the full moon by up to two days. Still, I could at least be smug in my amusement that yet again a major Christian holiday had clear ties to early astronomy and astrology and was designed to co-opt some sort of Pagan equinox celebration. Except, when I read more, I realized even that was not true. The timing was an actual attempt to figure out an actual date of the Last Supper, for which there is some indication that it was slightly before Passover. Passover, in the Hebrew calendar, occurs on the 15th day of Nisan. The first day of a moon was originally declared to occur when credible witnesses had seen a crescent moon. Nisan, which approximately translates in Babylonian as “until the barley is ripe,” was declared based on the critical springtime crop. It occurred around the time of the equinox. Fifteen days after the start of Nisan the moon would be full. And Passover would begin, on the day of the first full moon after the equinox. So my smug amusement is totally misguided. Instead I should have understood and respected the observational, agricultural, and astronomical aspects of the much older Hebrew calendar. It is quite amazing that such a calendar designed thousands of years ago still underpins the basis of the day of one of the larger religious holidays of the year. But even with my newfound respect I can see the problems. The bunnies, even if they knew the astronomical rules, could never read all of the ancient tables. They will never know ahead of time when Easter is here. And occasionally, when the moon is right (and the tables are right too), Easter will show up weeks too early and then bunnies will not have grown. Easter baskets everywhere will have to be downsized so the tiny bunnies can carry them to front doors. Luckily for me, at 2 ½ Lilah doesn’t yet know what she is missing. But next year, as a 3 ½ year old, she may catch on. Happily, next year, Easter is not until April 12th, and, once again, the bunnies will be running all around the yard, hiding candy and eggs as they go. In 1846, more than 50 years after the discovery of Uranus, both John Couch Adams in England and Urbain LeVerrier in France independently realized that Uranus was not precisely following its expected path around the sun, but rather was being perturbed by some unseen force. Using the recently developed methods of physics and calculus, they both calculated that everything could be explained if there was another planet beyond Uranus slightly tugging Uranus from its expected path. Moreover they knew right where to look. LeVerrier contacted astronomer Johann Gottfried Galle in Berlin and gave him precise coordinates at which to point his telescope. On the very first night of his search Galle found Neptune gleaming in his eyepiece. Adams and LeVerrier were correct! And, moreover, their chains of reasoning were correct. Neptune was indeed responsible for giving Uranus a tug, and that tug pointed right at the new planet. The discovery was a spectacular triumph of the new physics; the universe itself was now within the grasp of the mind. If one new planet could be found this way, why not more? Very soon other astronomers were looking very closely at the orbit of Neptune to see if it, too, was perturbed. It was, or so it appeared at the time. Several astronomers immediately tried to use the same method as Adams and LeVerrier and predict precisely where to find this Planet X (X for unknown and X for 10, though at least one astronomer called his hypothesized body Planet O, a less catchy name which rarely gets mentioned these days). Percival Lowell, an astronomer from a wealthy family in Boston, even decided to construct an entire telescope (at what is now the Lowell Observatory in Flagstaff Arizona) with the main purpose being to find the planet. Lowell died before the search began in earnest, but in 1930 Clyde Tombaugh, carrying out Lowell's program, discovered just what he thought he was looking for: Pluto, in orbit beyond Neptune. Planet X discovered! Except that it wasn't. Pluto is far too small to even be noticed by Neptune, much less tug it away from its orbit. Its discovery, though inspired by Lowell, had nothing to do with his prediction. In fact, these days we know that the early measurements of the position of Neptune were simply in error and, as far as anyone can tell, Neptune goes precisely where it is supposed to go. 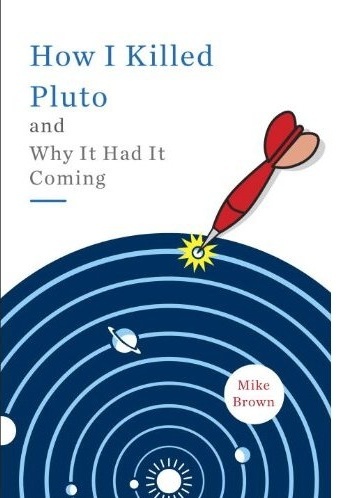 Pluto was not the predicted Planet X, nor does Neptune do anything unusual that would require such a planet. The idea of finding something large outside of Neptune still remains appealing, though. Over the years different astronomers have revisited the idea to explain a variety of things including the periodic extinction of the dinosaurs, the orbits of comets, and many more. The latest attempt at Planet X predicting comes in a paper in the April issue of the Astronomical Journal by Patryk Lykawka and Tadashi Mukai at Kobe University in Japan. The essential idea is unchanged from 1845: look for the gravitational affect of an unseen planet. But Lykawka and Mukai have a great advantage over the early 20th century Planet X seekers: they have much much more than simply Uranus or Neptune to go on. We now know of more than 1000 tiny objects in the region beyond Neptune known as the Kuiper belt, and each one of these is affecting by whatever planets are out there. In the outer solar system, these tiny bodies in the Kuiper belt function like the debris left over after a flood: while the water from the flood may be long gone, you can still use the location of the debris to trace the rivers and currents of the flood and the highs and lows of the water. The Kuiper belt objects similarly trace catastrophic events that we can no longer see but can now infer. In the outer solar system these catastrophic events were mainly the migrations of the orbital positions of the giant planets and the subsequent gravitational rivers and currents that swept through the tiny bodies of the Kuiper belt as the giant planets swirled around them. Today we see only where the small bodies ended up, but these locations are an intimate product of what the giant planets were doing. For a while now we have known, however that some aspects of the orbits of the objects in the Kuiper belt simply cannot be explained by the giant planets. The most dramatic of these unexplainable orbits is that of the extremely distant extremely eccentric object known as Sedna. Sedna has an orbit so distant from the sun that it take 12,000 years to complete a single orbit. During the course of this orbit it moves from about 80 times the distance from the earth to the sun to about 1000 times the distance from the earth to the sun. Such a peculiar orbit is an almost certain sign that sometime in its past Sedna got a large gravitational kick by something big, knocking it far away. But Sedna is currently so far away from any giant planet that there is nothing that it ever comes close to that could have kicked it around. Sedna on the outskirts of the solar system was like finding an overturned truck 20 feet above the high water line of the flood. Something put the truck there, but it certainly wasn't the flood. While Sedna is the most extreme case of strange orbits in the outer solar system, there are many others. So what helped rearrange the Kuiper belt besides the giant planets? Several ideas have been proposed, each of which can explain some, but not all of the anomalies seen. The ideas fall into three main categories: something from outside the solar system, something from inside the solar system that has escaped and is now gone, and something from inside the solar system that is still here but has yet to be found. The Lykawka and Mukai proposal falls into the latter category. They demonstrate that if an approximately Mars-sized body once existed in the region of the Kuiper belt, and if all of the conditions were just right, it could not only provide just enough gravitational kicking-around to sculpt the Kuiper belt into something that closely resembles what we see today, but the Mars-sized body could also conveniently find itself on an orbit sufficiently distant from the sun to have escaped detection. It’s a tidy proposal which explains much about the outer solar system all in one shot. Planet X discovered? Well, not yet. Unlike the calculations of Adams or LeVerrier, those of Lykawka and Mukai are unable to provide any prediction at all of where in the sky their object would be (the technical reason for this difference is that the main effects of the Lykawka and Mukai planet were in the distant past, so its current precise position has little effect, and thus can't be determined). But the good news is that, in the past few years, searches of the outer solar system (including my own) have already begun to specifically target the more distant regions where the predicted object would reside. If any such large object is out there it could be discovered anytime, perhaps even tonight (by my survey, if the object is on the bigger or closer side) or, more likely, by one of the next generation all sky surveys that will be operational over the next decade. So is the Lykawka and Mukai prediction right? Maybe. Their paper is a thorough and exhaustive demonstration of just how this Mars-sized planet could explain many of the oddities of the outer solar system. But just because such a planet could explain the oddities doesn’t mean that it does explain the oddities. To make everything work out, Lykawka and Mukai need their planet to do some very specific things. It has to be neither too large nor too small, neither too distant nor too close. It needs to follow a rather precise history from its formation on the inner edge of the Kuiper belt to its eventually ejection by Neptune to a distant orbit. The number of coincidences that must have happened is enormous. The probability that such a chain would have occurred seems slim. And yet the probability of almost anything specific is slim. The moon, going around the earth, was only created because of an impact that happened to hit the earth at the right angle and the right speed. If the impact had occurred slightly differently: no moon. The whole solar system itself might be a coincidence caused by a precisely timed supernova that went off nearby just as a cloud of dust and gas was beginning to coalesce. I am married to my wife only because of an improbable chance encounter in a basement seven years ago. So coincidences happen. Coincidences are what take general cases and make them specific. Still, scientists shy away from specific explanations, because while they may work once, they won’t ever work again. They are less satisfying. But that doesn’t mean they are not true. A compositional-dynamical survey of the Kuiper belt: a new window on the formation of the outer solar system. The eight planets overwhelmingly dominate the solar system by mass, but their small numbers, coupled with their stochastic pasts, make it impossible to construct a unique formation history from the dynamical or compositional characteristics of them alone. In contrast, the huge numbers of small bodies scattered throughout and even beyond the planets, while insignificant by mass, provide an almost unlimited number of probes of the statistical conditions, history, and interactions in the solar system. Studies of these small bodies have been exploited for many years in the inner part of the solar system, where combined dynamical and compositional observations of asteroids have been used to trace chemical gradients, study early radioactivity, and detect and analyze collisional histories in the region of the terrestrial planets (Bottke et al. 2005 and references therein). While a similar study of the Kuiper belt would offer similar promise for understanding the formation of the region of the giant planets, the typical objects in the Kuiper belt are 10,000 times fainter than those in the asteroid belt, so this promise has been hampered by the difficulty of obtaining concrete observations of the surface compositions of these objects. Instead, attempts to understand the formation and evolution of the Kuiper belt have largely been dynamical simulations where a hypothesized starting condition is evolved under the gravitational influence of the early giant planets and an attempt is made to reproduce the current observed populations(Levison and Morbidelli 2003, Tsiganis et al. 2005, Charnoz and Morbidelli 2007, Lykawka and Mukai 2008). With little compositional information known for the real Kuiper belt, the test particles in the simulation are free to have any formation location and history as long as they end at the correct point. Allowing compositional information to guide and constrain these studies would add an entire new dimension to our understanding of the formation and evolution of the outer solar system. New visible-infrared capabilities of WFC3 allow such compositional information of a large number of Kuiper belt objects to be obtained for the first time. Here we propose to exploit these capabilities to perform the first ever large-scale dynamical-compositional study of Kuiper belt objects (KBOs) and their progeny to study the chemical, dynamical, and collisional history of the region of the giant planets. Kuiper belt compositions: the current view. Combining compositional and dynamical information on small bodies has proved a powerful technique in the inner solar system for understanding the formation of the terrestrial planetary region, but it has only been used to a very limited extent in the outer solar system. Color diversity.The earliest attempts to jointly consider outer solar system compositions and dynamics simultaneously were attempted using only the colors of KBOs.While colors are a poor proxy for composition, they have proved a fascinating early tracer of the dynamical homogeneity -- and lack thereof -- of the Kuiper belt. The earliest photometric observations (Jewitt and Luu 1998) suggested that KBOs came in a wide variety of colors and that there was no relationship between the color and any orbital or physical parameter of the object. To date, this great heterogeneity remains unexplained, though it clearly points to a wide diversity of formation or evolutionary histories throughout the Kuiper belt. Subsequent observations of colors of larger numbers of KBOs eventually showed that one dynamical subset of the Kuiper belt, the ``cold classical KBOs'' on dynamically cold low inclination and eccentricity orbits, consists exclusively of objects that are red (Tegler and Romanishin 2000, Trujillo and Brown 2002). While the color red is impossible to interpret compositionally without more spectral information, the existence of this red grouping has been used to argue that the cold classicals are a unique population whose dynamical coherence has been maintained through the dramatic evolution of the outer solar system (Morbidelli and Brown 2004). The need to retain this group of objects is one of the key constraints on -- and sometimes the death of -- models of the evolution of the outer solar system and is the earliest example of the power of combining (even limited) compositional information with small body dynamics. While color groupings have proved interesting for helping to understanding the evolution and rearrangement of the outer solar system, the actual cause for the different colors remains unknown.Infrared spectroscopy would allow a direct probe of the surface ices common in the outer solar system, but for many years few infrared spectra were available, as few KBOs were bright enough for even the lowest resolution spectroscopy with the largest telescopes. This difficulty was partially alleviated by our wide field search for the largest KBOs (Brown 2008), which finally provided a moderate number of bright observable objects, and by long term programs at VLT and Keck that slowly obtained spectra of the very brightest of these (i.e. Barucci et al. 2006, Barkume et al. 2008). The most systematic survey to date is our Keck survey (Barkume et al. 2008), which obtained 1.5 to 2.5 micron spectra of 45 objects in the outer solar system. Three results from this small sample provide examples and details of what could be expected from a much larger survey. Fragments from a giant primordial collision. One small set of KBOs stood out in the Keck survey for their unique spectra (Fig 1a). This collection of objects has surfaces which look like laboratory spectra of pure uncontaminated water ice. Moreover, all of these pure water ice objects have nearly identical orbits(Fig. 2a), and the largest of them, the nearly Pluto-sized 2003 EL61, had previously been speculated to have suffered a giant impact at some point in its past which gave it its rapid spin and system of at least two moons (Brown et al. 2006). The compositional and dynamical association of the water ice objects with 2003 EL61 itself made it clear that the small set of pure water ice objects were fragments of the giant impact that had shaped 2003 EL61 (Brown et al. 2007). This impact is the largest anywhere in the solar system for which we have multiple extant fragments identified, providing a unique laboratory into the types of massive collisions which shaped the solar system. It is expected that the 2003 EL61 impact occurred during the time of solar system clearing when the Kuiper belt was significantly more dense than its current state. A model by Levison et al. (2008) suggests that the impact actually occurred between two objects which were themselves in the processes of being scattered out of the solar system. As would be expected from a collision of objects that were on unstable orbits, some of the 2003 EL61 family is itself in an unstable region of space. In Ragozzine and Brown (2007), we exploited these instabilities to develop a dynamical chronometer to use the current spread in orbital elements of 2003 EL61 fragments to determine the time of the 2003 EL61 impact. To date, with the small number of family members known, we can only place a lower limit of 1 Gyr on the age. But with more objects discovered we will be able to more precisely date this impact, and thus date the time of solar system clearing.While almost all models to date assume that major clearing occurred 4.5 Gyr ago, the new and to date quite successful Nice model (Tsiganis et al. 2005 and papers following) posits that solar system clearing was delayed by ~1 Gyr and did not largely occur until the time of the Late Heavy Bombardment. The study of the dynamics of this compositionally unique set of objects could answer one of the most important questions about the timing of major events in the outer solar system. Schaller and Brown (2007) suggested that a small number of the largest and coldest objects should have enough surface gravity to maintain their volatiles against loss to space over the age of the solar system. In their model, the final loss to space is controlled by the slow leakage of Jeans escape from a vapor-pressure controlled atmosphere. The loss is an intimate function of the object size and of the precise orbit. The results of the model predictions to date have been nearly perfect: almost everything that the model suggests should have volatiles on the surface (predominantly methane; Fig 1a) does, and nothing that the model suggests shouldn't have volatiles has been found to have volatiles. This success opens the possibility of being able to find outliers with unusual dynamical or compositional histories by finding objects whose predictions don't fit within the framework of the model. Indeed, the one object which doesn't fit the model prediction is 2003 EL61, the giant parent of the collisional family. We presume that the impact took away most of the volatiles on the outermost fragments, but, more importantly, even if we had know nothing else about 2003 EL61, its failure to have a predictable surface composition would have quickly drawn attention to it. Once the 2003 EL61 family is removed from the spectral sample, no apparent compositional-dynamical correlation or pattern is seen in the remaining 40 objects (Fig 2a). While the compositions of asteroids are strongly stratified as a function of heliocentric distance, the KBOs have no such stratification. Just as objects with different optical colors are jumbled throughout the Kuiper belt, so are objects with different infrared spectra. Unlike the asteroid belt, however, where compositional differences are glaring and distinct, in the Kuiper belt, the spectra of almost every KBO fits along a smooth continuum with the only differences being the amount of absorption due to water ice and the optical color (Fig 1b). While initially unexpected, the lack of other significant surface ices is now understood as a natural consequence of thermal escape of the more volatile ices (Schaller and Brown 2007). Oddly, however, little correlation appears between the optical colors and the amount of water ice absorption (Fig 1b), conflicting with the commonly held conceptual view that KBO surfaces are a simple mix between red colors due to irradiated organics and blue colors due to fresh water ice exposed by collision (Jewitt and Luu 1998) or that KBOs can be compositionally classified by optical colors alone (Barruci et al. 2006). While the cause of this continuous diversity is unknown, the broad possibilities are limited: the surfaces can reflect either primordial differences in the objects, subsequent evolution of the objects, or both. Primordial differences would likely reflect formation location, while evolution could reflect both thermal and collisional history. Whatever the cause of the surface composition variability, understanding the reason would allow significant new insights into the evolution of the outer solar system. If the variations are primarily primordial, we could use KBO composition to reconstruct the initial locations of the objects that are now jumbled in the Kuiper belt, while if the variations are evolutionary we will be able to use compositions to reconstruct collisional or thermal histories of different regions of the Kuiper belt. In either case, with the current small number of objects known it is impossible to determine the cause of the variability, but the promise for this potential tool is strong. The proposal continues on for another few pages, describing precisely how we want to use the Hubble Space Telescope to answer some of these questions that we had set out here. Five years ago this month there was a major scientific conference in Chile on the Kuiper belt. Astronomers from all over the world converged on a small coastal town to discuss what was know and what might be learned in the future. We knew a lot about the Kuiper belt then. Or at least we felt we did. But what a difference five years have made. Five years ago Quaoar was the largest known Kuiper belt object, and we counted Pluto as a planet. Today Quaoar is not even in the top five, and Pluto is not a planet, but just the second largest Kuiper belt object. Five years ago the most distant object that had ever been seen was an otherwise obscure Kuiper belt object with the name 1999DG8. It is 61 times further from the sun than the earth is, in what seemed like the outer fringe of the solar system at the time. Today we know that Eris is much further away (90 times further than the earth), though it is soon going to work its way in close. But we also know about Sedna, which we would have never predicted. Sedna is currently just a little closer to the sun than is Eris, but, soon, it will be on its way out. At its most distant, Sedna is about 1000 times the distance from the earth to the sun. Sedna takes about 12,000 years to go around the sun; the last time it was this close to the sun the earth was working its way out of the most recent of the ice ages. I often wonder what will be happening on the earth the next time Sedna comes around, in the year 14,000 AD. Five years ago, no one sitting at the conference in Chile would have ever guessed that we would eventually find an object like 2003 EL61 -- aka Santa -- the fast spinning elongated Kuiper belt object that we now know to be the product of massive collision in the outer solar system perhaps 4.5 billion years ago. And people would never have believed that we would even be able to find many of the shards from the impact and start to be able to reconstruct the original humpty dumpty. One thing that would not surprise anyone from five years ago is that we finally found something bigger than Pluto. Most people studying the Kuiper belt assumed it would eventually happen, and I think many were finally relieved when it happened. No one could have known, of course, just how crazy the year-long debate about planets would be, but I think most of the people at the conference five years ago were pretty convinced that eventually we would fix the classification of objects in the outer solar system by placing Pluto in its rightful place with the rest of the Kuiper belt. It was a fascinating conference five years ago, I am told. But I didn't have the chance to go. I was, by chance, also in Chile during the conference itself, but I was not sitting in an auditorium in the north of the country with my fellow astronomers, I was hiking in the southern Patagonia regions with my wife. My then-brand new wife. We were on our honeymoon. We got married on March 1st, 2003. Five years ago today. Five good years.